Car Trailer: If you need to move a car, no matter what size or style, we have a car trailer solution for you. 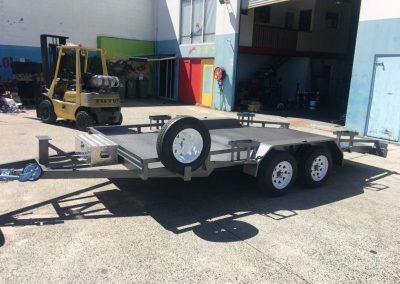 As one of the largest car trailer manufacturers in Brisbane and the Gold Coast, we have the capabilities to provide the perfect car trailer for your needs. 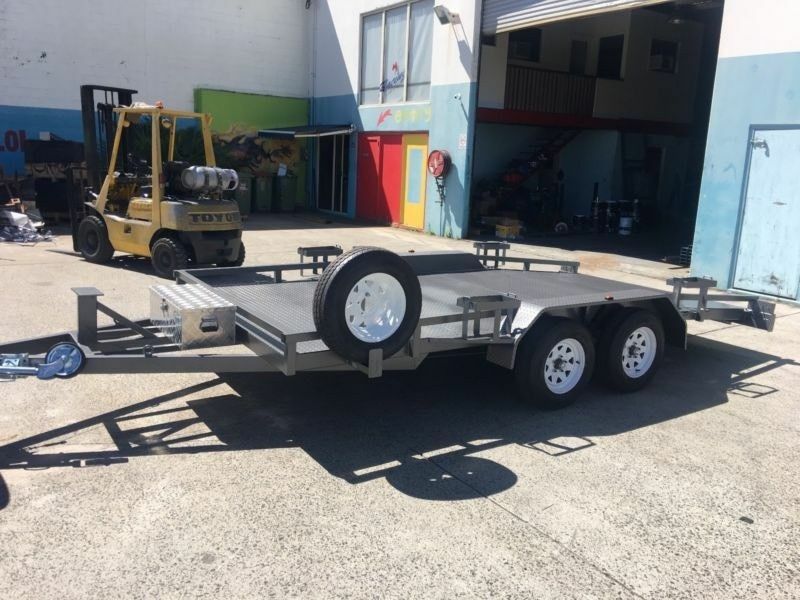 Australia Pacific Trailers are a locally owned and operated trailer manufacturer that is proud is serve Brisbane and the Gold Coast. 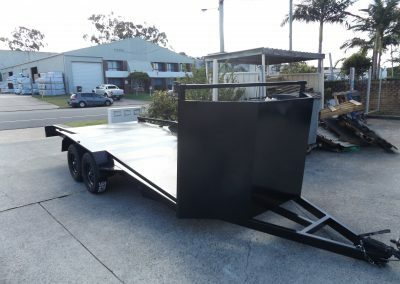 We use only the highest quality Australian steel for all our trailers. 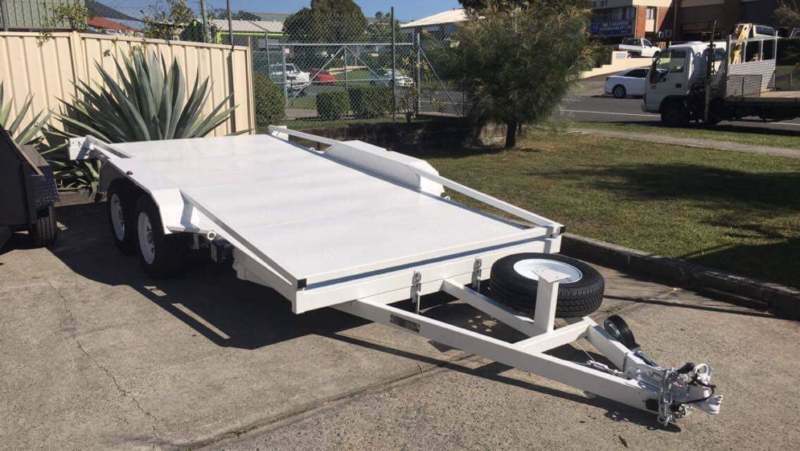 If you are in need of a car trailer, you can’t go wrong with the high quality, Australian made trailer from Australia Pacific Trailers. Moving a car is not always easy. 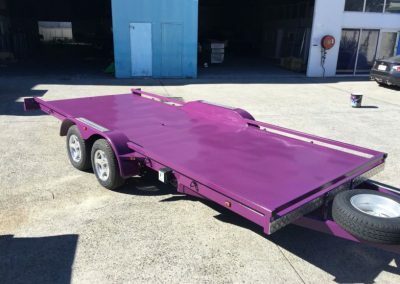 Luckily, the team here at Australia Pacific Trailers offers unique, custom tailored options to make sure that you have the right trailer for the job. We offer a wide range of sizes, materials and colours to ensure you are getting the perfect trailer for you. We pride ourselves on using only top quality steel from local suppliers to construct our trailers. 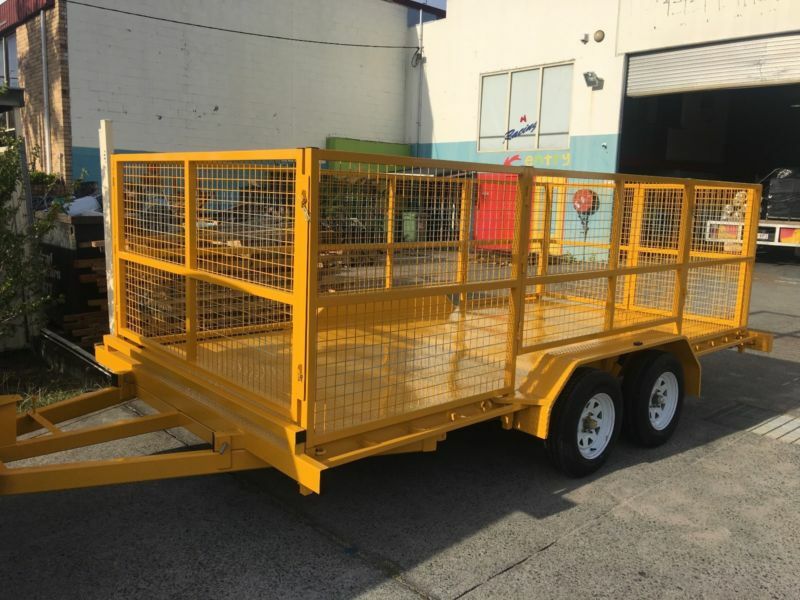 Whether you are looking to keep it simple or want a customised trailer with all the bells and whistles, Australia Pacific Trailers can accommodate your needs. 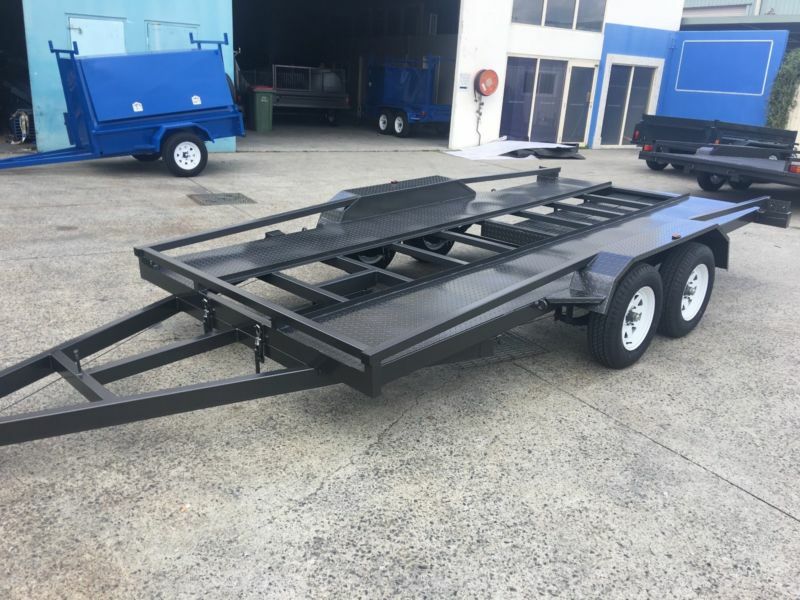 All our trailers are built right here in our state of the art factory located here on the Gold Coast, so you can feel good knowing that you are picking up your trailer straight from the manufacturer. 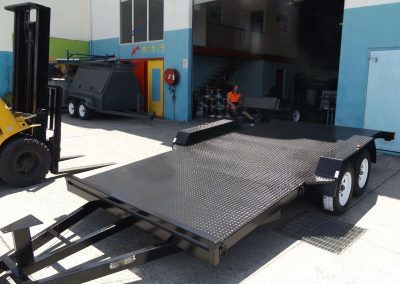 Our highly educated and qualified team at Australia Pacific Trailers engineer, design and manufacture a unique product. Our diverse and extensive range of trailers allows you to choose a perfect trailer. And you’ll even have the luxury to design your trailer new and have it made to the right specs. 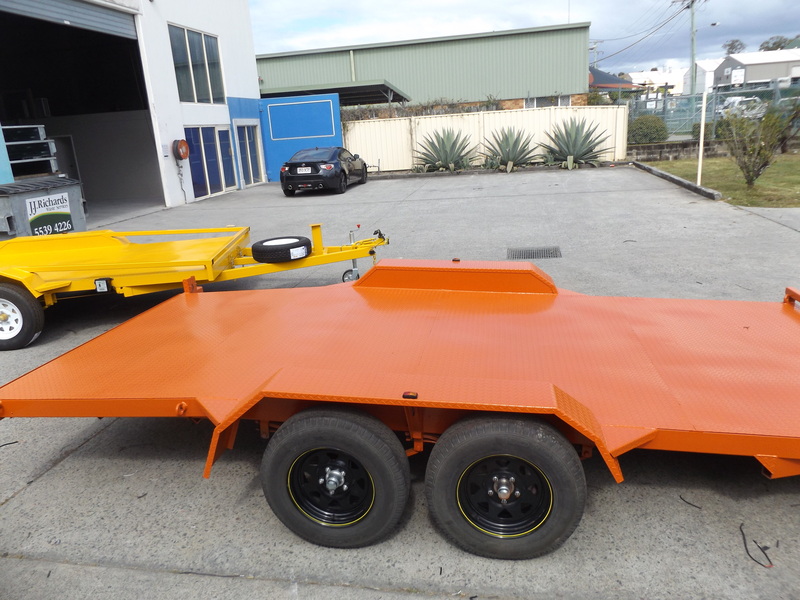 Our approach at Australia Pacific Trailers embraces (quality, values and safety) to deliver a superior product. All our trailers a manufactured to conform to stringent Australia design and regulations (ADR) and Australian Safety Standards (AS) which places safety and optimum performance as our priority. I had been looking for a good heavy duty car trailer for 2 years, but all I could find was Chinese made and every single one I looked at was terrible quality. The welds ‘oh sorry I mean tacks’, were just held together and that was only 20% of the trailer the rest was bolted together without washers. 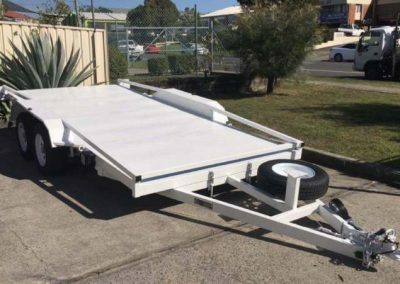 I found Australia Pacific Trailers on gumtree as I’m from Port Macquarie. 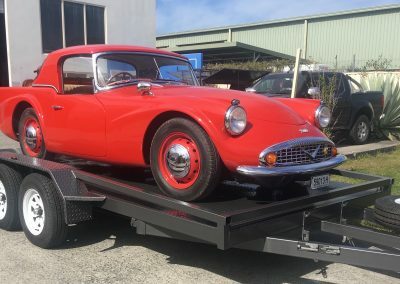 And from start to finish on my new car trailer I’ve never been so pleased in all my life with the Australian quality and workmanship these guys showed – HIGHLY RECOMMEND. There are many factors to consider when selecting the perfect car trailer. For starters, it is essential to consider the size, weight class, tow ball and usage you require before making any decisions. 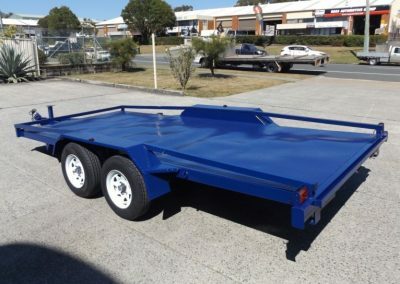 At Australia Pacific trailers, we offer deck sizes from 10 ft to 20 ft, with a wide range of load ratings. Weight class is a critical consideration when it comes to choosing a trailer Brisbane due to the strict laws regarding the use of trailers on our roads. We are compliant with all safety and legal requirements and can help to guide you towards the trailer that will fit your needs. 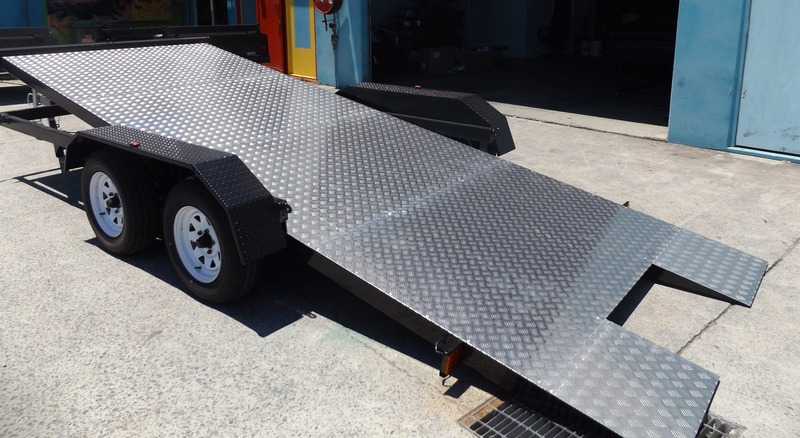 We offer a wide variety of options to choose from to custom tailor a car trailer to suit your needs. You have choices in the style, size, load rating, finish, braking system and more. When it comes to purchasing a car trailer for sale, there are different styling options to choose from. The primary consideration is whether you want an open or closed trailer. We offer a wide range of car trailer designs including both open and fully enclosed options. Open car trailers are the more cost-effective car trailers and are great for general car transportation. If you have a specific or high-value car that you need to transport, a fully enclosed trailer is an excellent option as it adds extra protection and security to keep your investment safe. Give us a call today to get started with your custom, Australian made car trailer. If you need to move a car, no matter what size or style, we have a car trailer solution for you. Australia Pacific Trailers are car trailer manufacturers in Brisbane and the Gold Coast. We have the capabilities to provide the perfect car trailer for your needs. 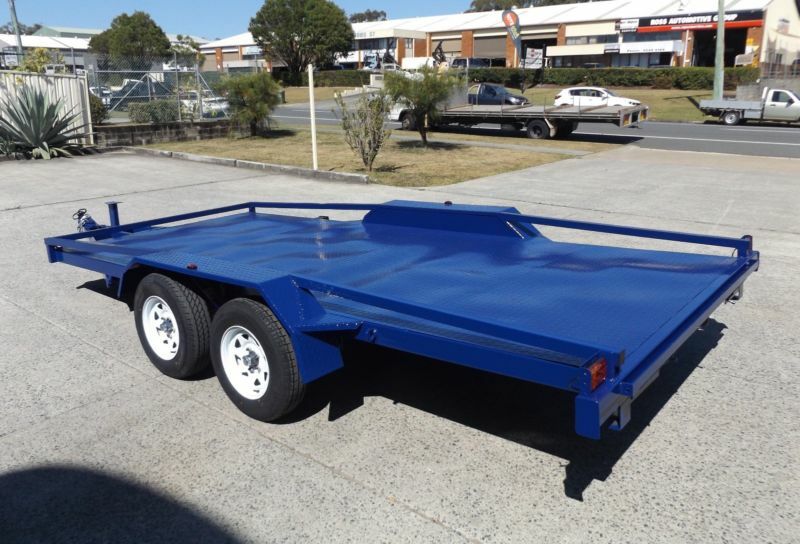 Australia Pacific Trailers are a locally owned and operated trailer manufacturer. When it comes to car trailers, you get what you pay for. 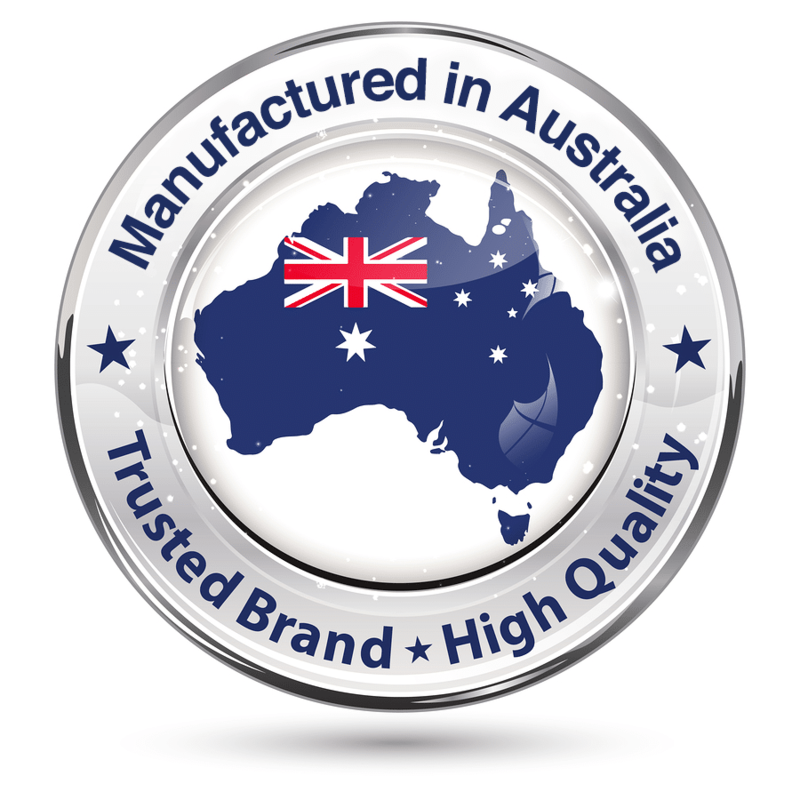 We use only the highest quality Australian steel for all our trailers. 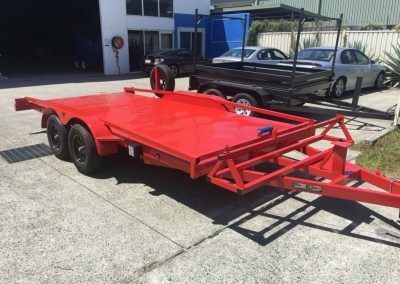 If you need a car trailer, you can’t go wrong with Australia Pacific Trailers. Choose from a range of car trailers, in sizes varying from 10ft to 20ft. 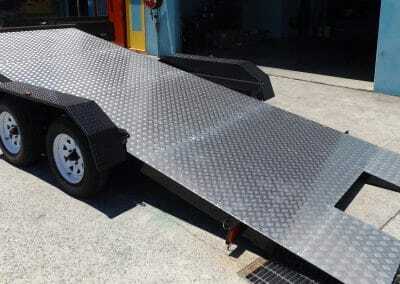 Or get a custom made car trailer for your specific needs. Here are 6 things to look for when buying a car trailer. What will you use the car trailer for? Ask yourself what you intend to use your car trailer for. A brand new car trailer will set you back upwards of a few thousand dollars. So you want to make sure you’re going to get the right one. While transporting your car may be the main use of your car trailer, you may have some other uses in mind. 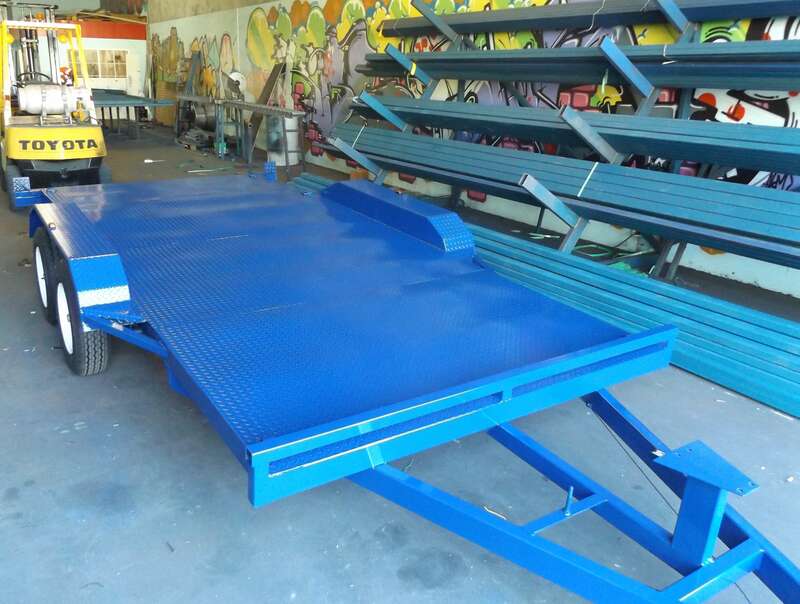 Flat deck car trailers feature a completely flat deck without any obstruction. The wheels sit below the deck, which means they are clear of the deck. 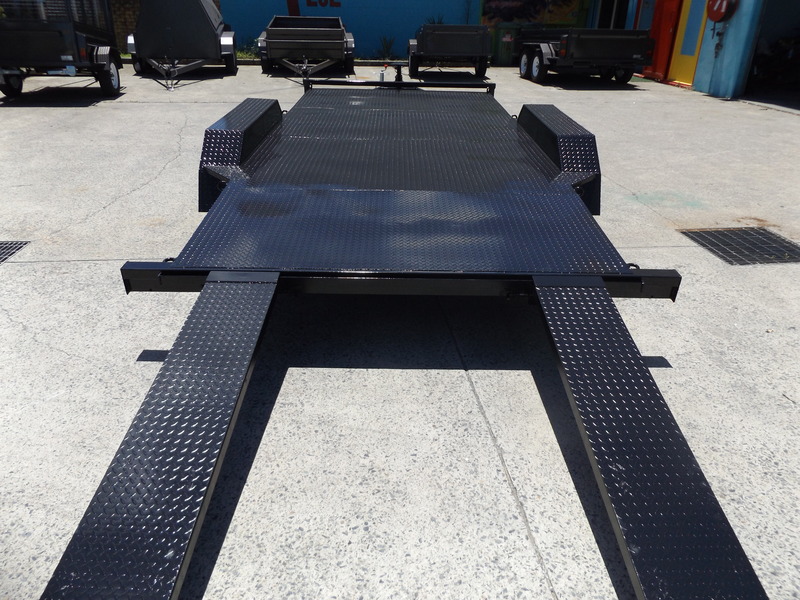 These car trailers are perfect for transporting pallets, machinery, or other similar items. 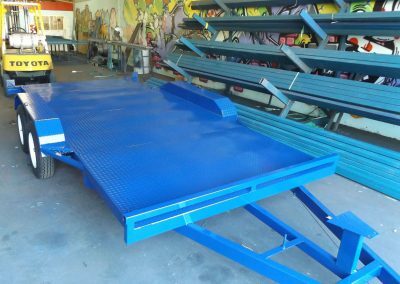 Flat deck car trailers are useful for large loads and you can load them using a crane or forklift. An enclosed car trailer provides protection from weather and other hazardous conditions. This can prevent theft of your car or other valuable items. An enclosed car trailer has a ramp door at the rear for loading. You may also want the option of a side door for easy access. Enclosed car trailers should have a low angled floor at the back of the trailer for ease of access. Like a regular trailer, your enclosed trailer should have tie down points. Race cars have a build that is low to the ground. That means they have a low front clearance. This can make it very hard to get a race car onto a standard trailer. The deck of a race car trailer lowers to a few degrees. Once you load the race car, you can raise the deck back to the normal position, and strap down the wheels. And then you’re off to the races! 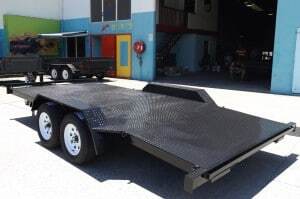 A standard car carrier trailer can come in many different designs. It may have a tilt design with a hydraulic system to control the tilting function. A tilt trailer provides you with ultimate convenience. 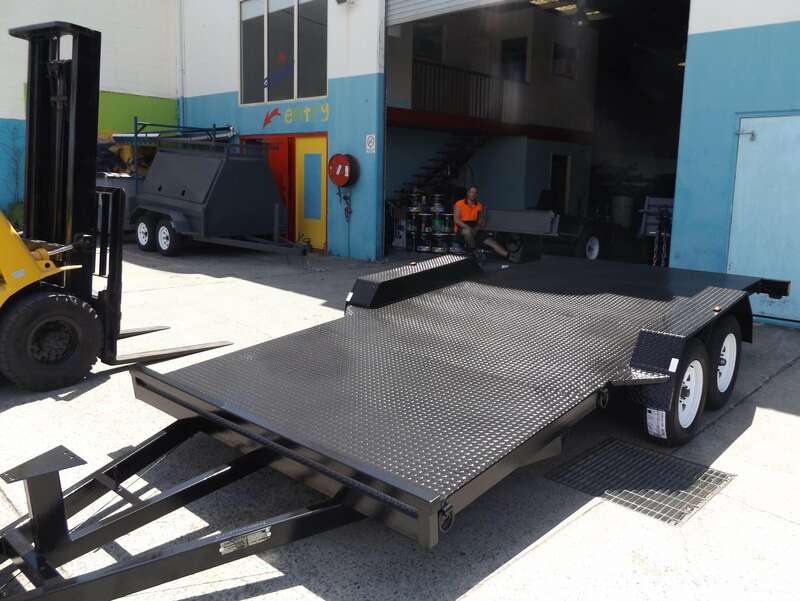 If you’re looking for a more affordable option, you may be better suited to a car carrier trailer with a ramp. How heavy will your load be? 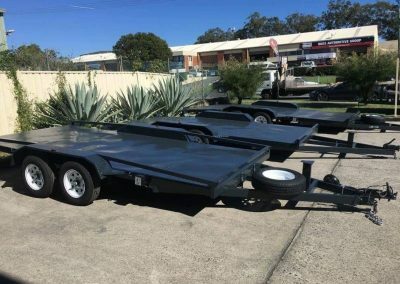 When you’re buying a car trailer Gold Coast, be sure to check the load capacity specifications. A car trailer will be a dual-axle at a minimum. Each axle has a certain load capacity. The tyres on the trailer should also be good quality and able to withstand the weight. Look for the trailer mass specifications displayed on the trailer. 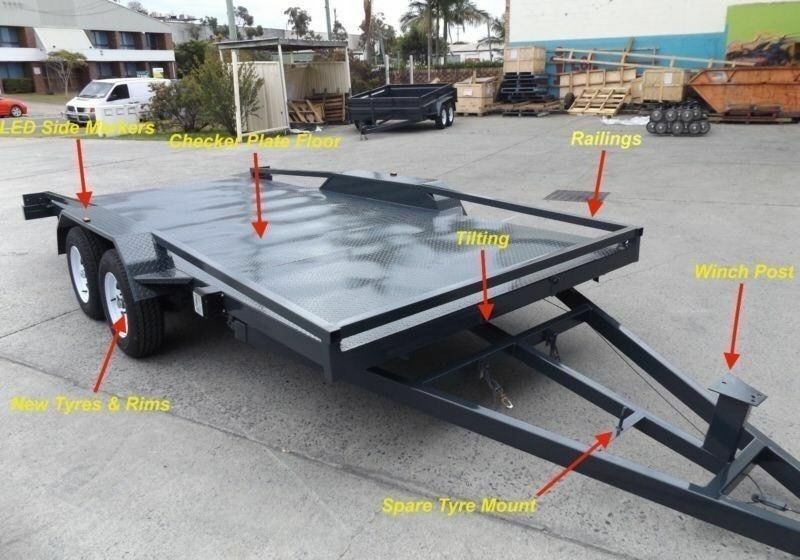 If there are no trailer plate specs, it’s not compliant with Australian towing regulations. The trailer plate will display various kinds of mass terminology. This includes the payload, which is the total capacity that the trailer can carry. The vehicle you use to pull the trailer needs to be able to handle the fully loaded trailer. When it comes to car trailers, the vehicle will most likely need to be a four wheel drive or similar. The purpose of a car trailer is to carry at least a couple of tonnes. Look for the use of strong material in the build of a car trailer. When you’re inspecting car trailers for sale, don’t be afraid to look closely at the quality of the welding job. You don’t want to buy a car trailer from a maker who cuts corners by doing a poor welding job. Without a proper car trailer build, you risk the whole thing coming loose and falling apart. The welding job should be generous, to lengthen the life span of the car trailer for sale. You’ll also want to look for high-quality paintwork. Your brand new car trailer shouldn’t have any signs of rust. Your trailer should also feature electronic brakes. An electronic braking system works in coordination with the towing vehicle brakes. When the driver of the vehicle is braking, the trailer will automatically brake. Australia Pacific Trailers build trailers to Australian standards and meet all safety needs. The drawbar of a trailer should bit a longer than half the size of the vehicle that’s towing the trailer. This provides you with the right turning radius when you’re going around corners. So you can turn without hitting the vehicle that’s towing the trailer. The A-frame is generally the strongest and most practical drawbar design you’ll find. You’ll want to make sure the drawbar has enough room to house a spare tyre if needed. It’s also very handy to have a dolly attached to the drawbar, to make it easier to move your car trailer around. 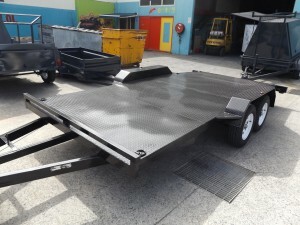 There are many different models and manufacturers of car trailers for you to choose from. 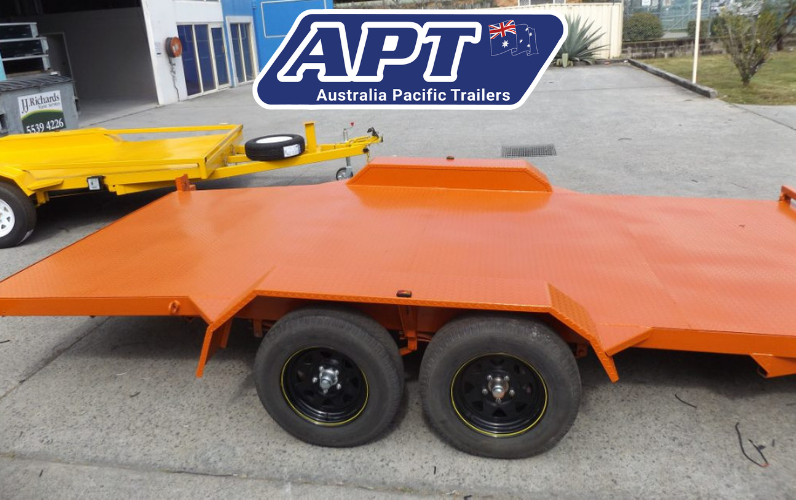 Australia Pacific Trailers sell heavy duty trailers for a variety of tasks. You may already use other types of consumer style trailers with your vehicle. Be aware that when you use a car trailer, it’s larger and manoeuvre differently to more common types of trailers. Practice using your trailer on private land, or a spacious quiet area of public land. This will help you avoid hitting the curb, other cars or damaging your new trailer when you get on the road. Take extra care when parking your trailer. Make sure you’re to carefully and safely moving about. Where will you store your car trailer? While it’s exciting to buy a new car trailer, it’s important to keep the practicalities in mind. A car trailer takes up a lot of physical space. Make sure you’ve discussed the matter with others involved. Is there enough space at your home or place of business to store your car trailer? Will the fellow occupants of your home mind having your trailer stored in your yard or garage? You might need to think about storing the trailer elsewhere. This could be at the property of a friend or relative or hiring space at a storage facility. The above are 6 things to look for when buying a car trailer. 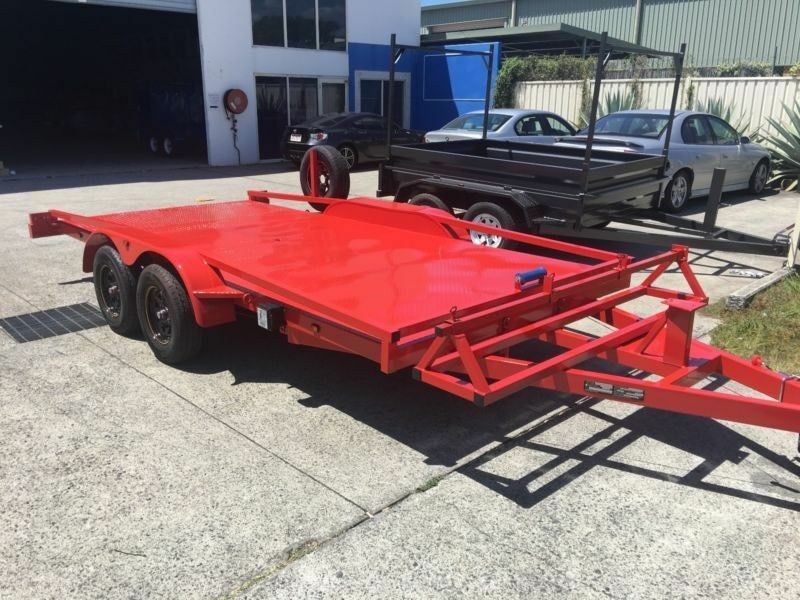 Thinking about buying a car trailer Gold Coast? Come and visit the friendly team at Australia Pacific Trailers. We’ll help you get on the road with the perfect car trailer for you. NEED A CUSTOM CAR TRAILER? 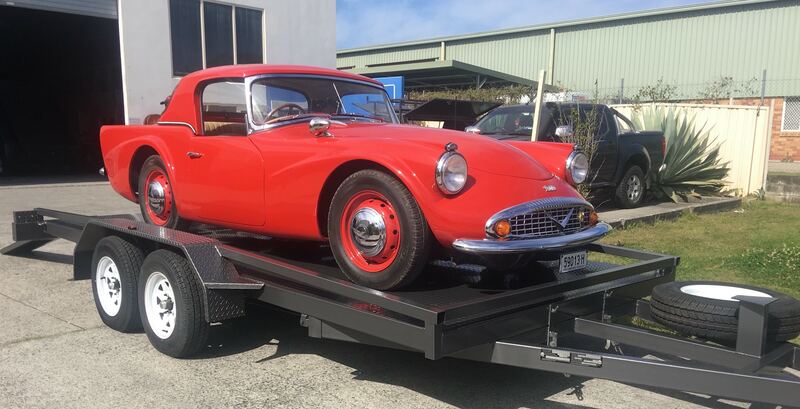 If you need a specific custom-made car trailer then contact us today to discuss. We can handle any build requiremnets and manufacture in for you.